Get your quote and make your reservation today! If you're planning a big event, any type of celebration, take a trip somewhere, or enjoy a night out in Tallahassee, then a luxury vehicle is just the ticket and we have what you need. We also service the areas outside of Tallahassee and can take you to nearly any place in Florida you may want to go. 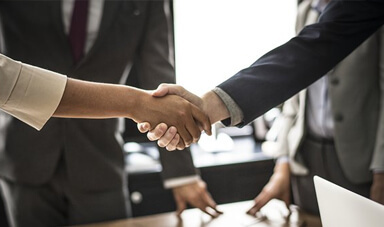 If a city is too far away out of our service area, we can refer you to one of our top quality trusted sister companies give you a quote, we would only refer reputable companies. We offer beautiful Tallahassee limousines and reliable service, proven by our spotless record and sterling reputation. You can count on us to arrive on time in a vehicle that will exceed your expectations in terms! Our dedicated team includes a detailing crew to keep our vehicles in the best shape. We know that clean limos are very important, especially if you're in wedding attire. We have amazing drivers who will navigate you to and from each destination safely and in a timely manner. Our customer service reps are here to help you 24 hours per day. All around, our team will make sure you have the best experience. Our fleet includes a large variety of vehicles with a size and style to suit the needs of any group, be it a night out with just a couple of friends, a birthday bash, or a large and extravagant wedding with a large wedding party that needs transportation. You can count on us for whatever you need when you're planning a big celebration. Any party group will surely want music, drinks, and dancing, and when you have one of our vehicles taking you anywhere, you can enjoy all of that! The built in coolers, club lighting, booming sound, and wood floors and all that space to dance? The party starts the minute you board! 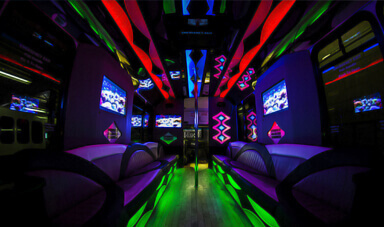 We are now, and always have been, the number one party bus rental company in the region! We have a large fleet that features the most amazing vehicles! These are truly the finest vehicles you'll find anywhere, each built with custom designed interiors and amazing luxury features that have everything you need to enjoy your trip 100%. Our customer service will make you feel like royalty and our prices absolutely cannot be beat! Better yet, we are a local company you can trust, and we operate 24/7 to provide service for any event! You can't go wrong with you get your vehicle from us! Give us a call today! Do this on a luxury party bus from start to finish. 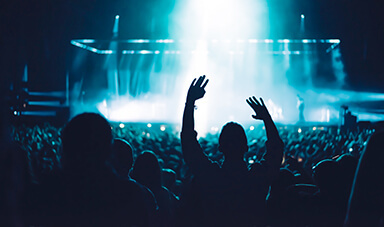 No matter what event you may need service for give our company a chance to make sure it's a night to remember and everybody enjoys themselves. Our vehicles are beautifully designed and offer the best features. We decades of combined experience among our staff we know what works and doesn't work by taking feedback from our past clients. We are proud to be a part of the Tallahassee community and provide a quality service for the residents of this community. We are involved in several different organizations and love to give back. We have the most luxurious fleet in the state of Florida! Each of our vehicles offers custom interior designs feature plush leather seats, hardwood floors and colorful lights are just a few of what we have to offer our clients! Other luxurious features include full service bars, custom installed stereo systems, dance poles, flat screen HDTVs, and much more. We believe in upfront and honest prices while you're booking your next outing. That's why when you do business with us, your price includes all features and no hidden fees ever. Our terms and conditions are explained to you with the pricing. When we give you a quote, that's what you pay! The entire wedding process is surely one that calls for a limousine or other luxury vehicle. Be it your bachelor, bachelorette, or engagement party, wedding, shower, or the wedding itself, you can't top having one of our chauffeurs pick you up in a beautiful limo. If you're hosting a conference or other type of corporate event, send a car for your colleagues to pick them up from the airport or hotel. One of our fine vehicles, especially our stretch limos, make the perfect mode of transportation for any professional gathering. Birthday parties definitely are a reason to go over the top and consider a limo bus or limo for your celebration. You can call us to provide transportation for you and your guests no matter what birthday you're celebrating. Tallahassee Limos are fun for all ages! You're surely excited when you find our your favorite musician is coming to town and playing a show at one of your favorite venues, be it the Bradfordville Blues Club, the Pavilion, or an arena in another city. Arrive at the show in style with a luxuyr ride. Copyright © 2018 | www.TallahasseePartyBuses.com | All Rights Reserved.